When we talk about Full and Fair Funding for California’s public schools, we often look at the big picture — per-pupil funding levels. That’s natural, since California ranks just 41st nationally in the funding it provides the state’s public school students. This hinders districts and county offices of education in our quest to provide all students with a high-quality education and prepare every graduate for success in college, career and civic life. Yet, while California’s dismal per-pupil funding levels underscore the state’s lack of investment in public schools, they don’t tell the entire story. There are many other ways in which the state shortchanges students of needed resources, and some of them go unnoticed in the mainstream media. Fortunately, CSBA consistently highlights the need for Full and Fair Funding and, last month, our advocacy raised the public profile of two important aspects of school funding. Two years ago, the voters overwhelmingly approved Proposition 51 to provide $7 billion for the renovation and construction of K-12 schools and to fund facilities for charter schools and Career and Technical Education programs. Yet, in the last two state budgets combined, only 20 percent of the promised Proposition 51 money has been made available to school districts and county offices of education, leaving us unable to address our pressing facility needs. 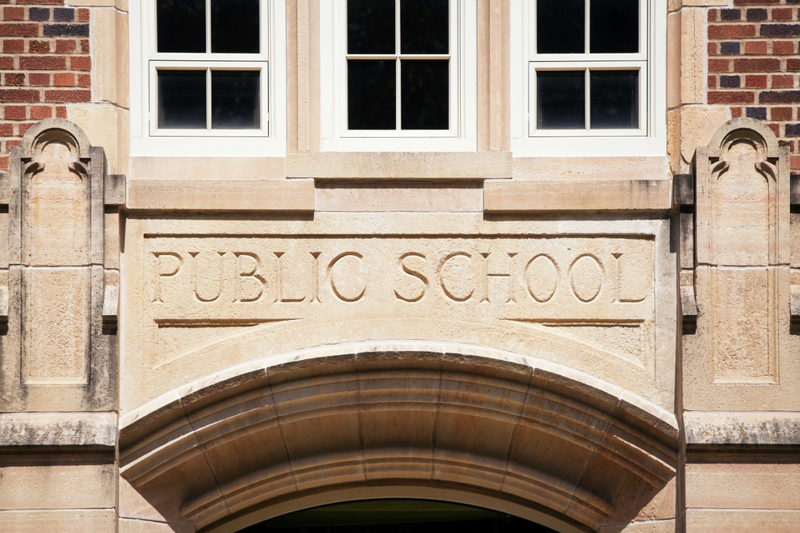 In essence, the state has defied voters by withholding funds for building and modernizing schools. At the current pace, it will take another eight years — a full decade after voter approval — for the state to distribute the funds. We plan on making sure that this pace accelerates rapidly in the next gubernatorial administration. rules, commonly referred to as “tests.” However, if the Proposition 98 guarantee is “certified” at a lower level than what was budgeted in a prior year, AB 1825 allows the state to artificially lower the guarantee in future years by up to 1 percent of the prior year’s Proposition 98 guarantee. Based on the current year, this means that ongoing school funding could be lowered in future years by as much as $784 million, an unacceptable outcome at a time when California ranks 41st nationally in per-pupil funding. It’s no surprise that the state promotes increases to the Local Control Funding Formula while refusing to acknowledge the impact of rising costs for schools or the clandestine measures it uses to claw money back from them. But as long as the state tries to manipulate school funding in the shadows, CSBA will shine a light on its activities and advocate for the Full and Fair Funding California’s students deserve.